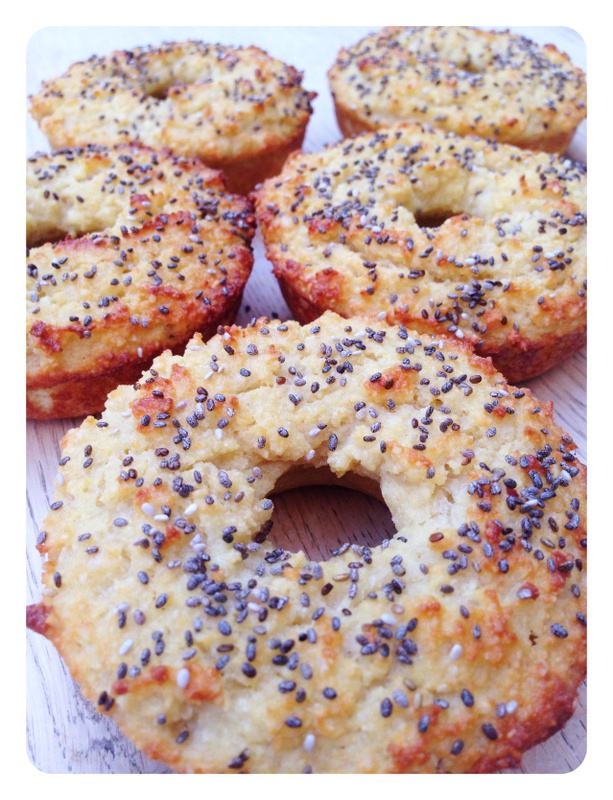 Chia Seed Bagels - Underground Fitness Dun Laoghaire | Bray | Dublin & Wicklow - Personal Training, Group Training and Bootcamps. These are so easy to make and are absolutely delicious with any of your usual favourite toppings. Combine the almond flour, coconut flour, arrowroot flour, baking powder and salt in a large bowl. Then add in the eggs, cider vinegar, agave and mix well until it’s thoroughly combined. Grease your donut pan well with COCONUT OIL and then use a spoon to evenly spread out the mixture. Then sprinkle the tops with the chia seeds. Bake at 180’C for about 15 minutes. Then take out and use them just as you would normal bagels!